Believe it or not, bad hair days can often start with how you condition your hair and scalp. This can in turn can affect how easy it is to style your hair. If you’ve been experiencing unruly and unmanageable hair, chances are you’re using the wrong hair conditioner. Sodium chloride—Also known as table salt, sodium chloride leeches moisture from the scalp, drying it out. Synthetic fragrance—Sure, it may smell nice, but the alcohol used to deliver the fragrance can dry out your scalp. Use a conditioner with natural fragrance instead. Quaternium-15—While most often used in eye shadows, it’s also present in some of the more popular hair conditioners. This preservative has been classified as a skin irritant that converts into formaldehyde, a known carcinogen. Shea butter—It’s rich in antioxidants, vitamins, and minerals. Aloe vera—It nourishes and hydrates the hair and scalp. 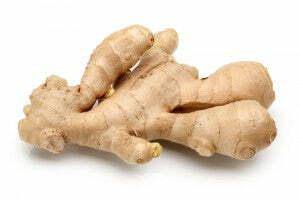 Ginger root—It stimulates the scalp and follicle, helping to promote hair growth. Deep conditioning is important for maintaining a healthy scalp. Regular heat styling seeps moisture from the scalp and hair. Daily conditioners help replenish moisture, but the scalp needs an extra boost that it can only get through deep conditioning. Fine hair—Use a volumizing conditioner. Blossom & Bloom by Briogeo is designed to optimize volume, thicken the appearance of your hair, is lighter, and doesn’t weigh hair down. Medium to thick hair—This hair type tends to absorb more moisture, but is also prone to frizz and split ends. Use a light daily conditioner with hydrating and smoothing benefits. Curly or textured hair—Try using a frizz taming or smoothing conditioner such as Briogeo’s Curl Charisma. It’s designed to help the cuticles lay flat on the hair shaft, giving hair a smoother appearance. Protein treatments have grown in popularity, but too much of a good thing can damage your hair. When hair has too much protein added to it, it can feel rough, and look dry and brittle. Fine hair doesn’t have as much natural protein as thick hair, so your hair type may also be a factor when choosing to use conditioners with added proteins. Understanding your hair and scalp type can help you understand how to choose the right conditioner the next time you’re shopping for a new hair conditioner—and give your hair the opportunity to give you more good days than bad.